Sometimes called a “true lover’s knot” or “Celtic knot,” this interwoven motif symbolizes the bond of love. Some legends indicate that sailors were the first to introduce braided rope and knotted jute in the form of a love knot for their beloved as they sailed the high seas. Crewmen would use their knot-tying skills in order to impress their lovers as they counted the days before returning home from voyages at sea. We went to that land of romance—Italy—to create a collection celebrating this symbol of enduring love. 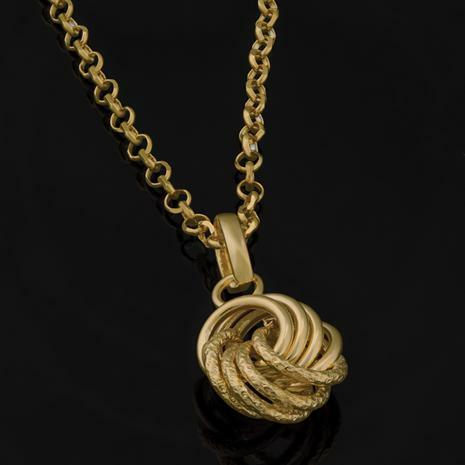 In our artisan’s talented hands gleaming 14K yellow gold is transformed into elegant reminders of your steadfast love.